Students will review the color wheel and learn about warm & cool colors. They will also learn about color contrast-using contrasting colors to make subjects stand out in the artwork. How was the spectrum discovered? In 1665, Isaac Newton was grinding lenses for a telescope when he found that one of his lenses made blurred rims of color around the edge. He stopped working on lenses and began his study of color. Intermediate colors (yellow-orange, red-orange, red-violet, blue-violet, blue-green, yellow-green: made by mixing one primary color together with one secondary color). 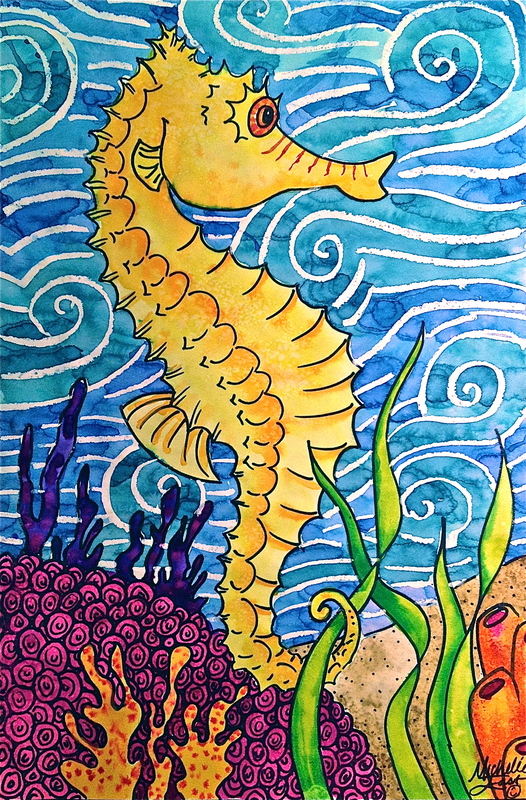 Objective: Create a watercolor painting of a sea horse under the sea using color contrast. Using the fine point black markers, students will trace their entire pencil design. Optional: Use a white oil pastel to draw swirly lines in the water (to give the water movement). Then paint with watercolors –this is a watercolor resist method. Paint the sea horse a warm color –yellow, orange or red. Sprinkle salt into the paint while it is wet to give interesting texture. 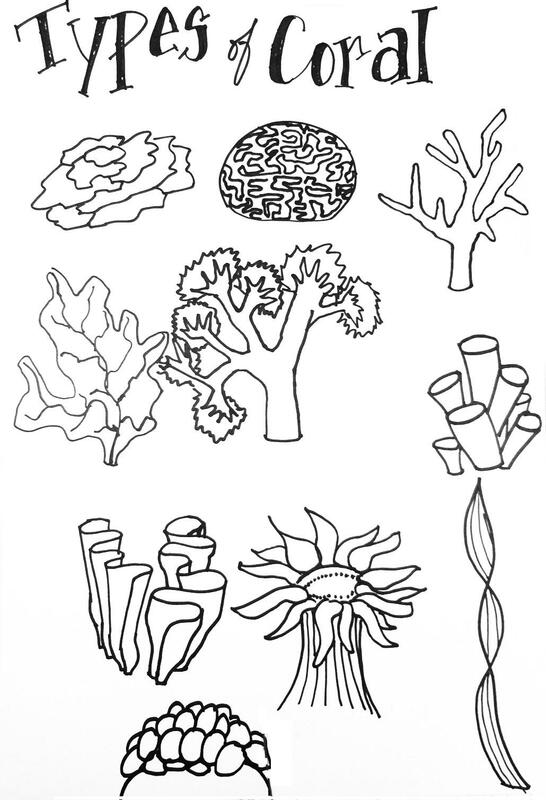 Paint the seaweed & coral mostly warm colors (yellow-green, pink/red, orange, etc.). This lesson was created by Michelle C East. If you choose to re-blog or use this lesson in any way (written or photos), then please make sure to link/credit to Create Art with ME. Elizabeth, I’m so glad you like the project! Adding in the information about Newton is a great way to promote cross-curriculum learning-the kids & science loved that too!